As 2014 closes out, it seems like everyone has their own version of accomplishments through the year. The H5 team had a lot that took place during the course of 2014 and while achieving many goals we still fell a little short in other areas. I will highlight a few in both categories here. Another black belt added to the team. Daughter #1 (DNO) achieved her first black belt in November. It was a long multi-year journey and is quite the achievement. DNO completed a solid second season as a member of an equestrian drill team and made significant progress in her horsemanship. DNO also picked up 3 gun this year. Competing at the Generation 3, and Brownell’s Lady 3 Gun matches this year. We threw some 3 gun training into the mix with a Lady 3 Gun event in Ohio for DNO, and Laura. Then added another 3 gun tuning session to the mix while we were at the Thunder Games in RockCastle. Competed at the 3GN Midwest Regionals, and learned a ton from the event and my squad. Followed that up with the 22lr event during Thunder Week, and the Brownell’s Pro Am the following weekend. To close out the year, we added another horse to the stable. At some point we might need to trim down our hobbies. Improve USPSA classification. Fell short on this one. While there was improvement, if you don’t put in the practice effort you don’t improve dramatically. Top 25 Pro-Am finish. Fell short here also. It was a pretty ambitious goal. But having the family along for the match, and trying to stay focused was a challenge. As a result I really “bombed” two stages that hurt my overall performance. Best stage finish was 37th, so while I wasn’t close to achieving the goal I think it is attainable. More matches. I found out that I did not commit early enough in the fall of 2013 to make the more match function a reality in 2014. Well, I am “all in” for 2015 and looking forward to a busy schedule both locally and regionally. Weight Loss, Fitness, Flexibility. Age takes a toll, and I did not have as much success combating my nemesis during the year. This year it is a priority, and a foundation for being able to achieve (and survive) some of my other goals. As we close out the year here at H5, I think that we had success and progress as a family and a team that outweighs the individual goal failures. It certainly was not a bad year and next year will be even better. With that in mind, let’s close out 2014 with Patrick Kelly. The man with the musical rifle. An interesting article, and redesign of a component of your Modern Sporting Rifle that is often overlooked, and neglected. Go read it, and then take a look at what these guys are doing. They have approached the problem with some logic. The base question that comes to mind though, is why did Stoner design it the way that he did? Was it cost, reliability, or an afterthought? I see some research in my future. The War Sports Team Challenge will be held in NC in July. We still need to determine who is going to shoot it. Will it be my daughter and I, my wife and I, or my wife and daughter. It will depend on scheduling of all the other events in our lives but, we are definitely looking forward to some family shooting fun this summer. I hope to see all the familiar faces, and some new ones too. It promises to be quite the event. The 2015 Freedom Munitions Multi-Gun Match Date Announcement |. The date has been set for the Freedom Munitions match. June 6-7th. Registration opens 25 Jan. I may have to see about putting one of these matches on a bucket list. I have seen a fair bit of footage from the recent Hard As Hell three gun match in Southern Utah but this stage is one of the most creative and well executed that I have seen so far. Bonus points for getting the drone to provide footage of this. It provides a great perspective on the stage. Well, I finally have some time to get things on the site revamped and caught up. So pardon the dust here as I work through a bunch of stuff. An all new look and feel to the site. I am actually pretty excited about what I have planned here. I hope you will all like it too. Catch up. 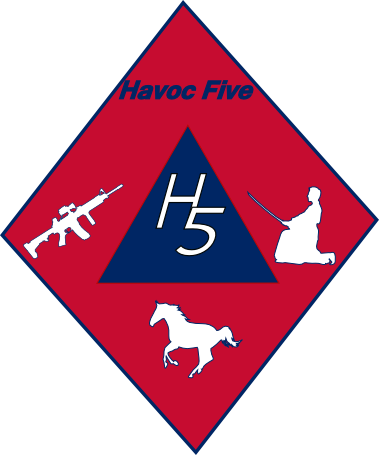 The H5 crew was actually pretty active over the last several months and there is a lot to update you on from training to 3Gun to Martial Arts. Video. I will admit it now, our video production from matches was not as prolific as I would have liked. But there is some footage and I am will be working through that and will get that up here soon. I hope that you like the changes that you are coming. Let me know if you have some suggestions.